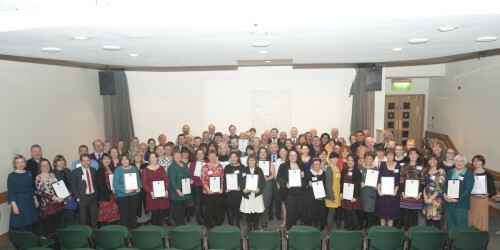 Last week the archive was delighted to receive the Sandford Award for Heritage Education. 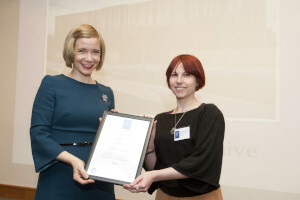 This prestigious award, which recognises and promotes quality and excellence in education provision across the British Isles, was presented by Dr Lucy Worsley (pictured above) at an award ceremony at the National Maritime Museum. The Archive was particularly praised for how quickly they had managed to create a high quality and innovative education programme, using M&S heritage to inspire pupils across the curriculum. The Archive was recognised alongside other prestigious winners such as the Royal Museums Greenwich, The National Archives, Windsor Castle and Buckingham Palace.